The wristwatch world was rocked today when it was announced that a Nomos Epsilon movement had been transplanted into an Invicta Men's Pro Diver watch. In the world's first watch transplant, a team of six wristwatch surgeons from Seiko gave the Invicta a new movement and saved its life. Because watchmakers from Switzerland and Germany refused to operate on an Invicta, the Nomos Alpha movement was flown on a chartered jet to Tokyo for the eight hour operation. its fatal collision with a Rolex Submariner. 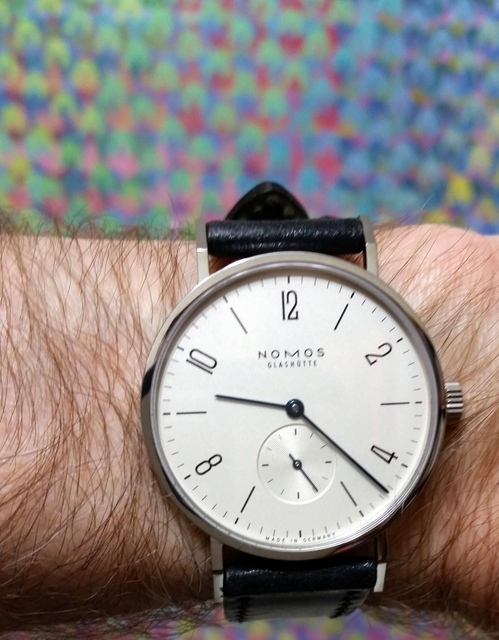 The Nomos had died instantly after a head on collision with a Rolex Submariner in a crowded Manhattan elevator. After it was clear to the Nomos Tangente's owner that there was nothing that could be done to salvage the cracked crystal, bent stem, and irreparably scarred case, the watch's owner agreed to allow the movement to be flown to Japan, where the Invicta had been on life support for nearly a month, awaiting a possible transplant. The Invicta had been suffering from "unattributable mechanism failure," a frequently fatal disorder whose main symptom is wide inaccuracy swings. Because there's no cure for unattributable mechanism failure, doctors believed that the Invicta's only option was an experimental movement transplant. Tokyo's watch surgery operating room, the only one of its kind on the planet, is illuminated by 300 kilograms of SuperLuminova. To make sure that the operation went like clockwork, the surgeons all wore Seiko Spring Drive watches. After a human organ transplant, there's the potential for organ rejection. But with this wristwatch transplant, the worry is reversed. While the surgery was successful and the Invicta Pro Diver's Watch is ticking fine, the Nomos movement may one day reject the Invicta watch itself, especially after the oils and anesthesia given during surgery wear off. Watch doctors, prepared for this possibility, have launched a global search for more compatible movement donors. If the Nomos Epsilon rejects its host, the Invicta, it's their hope that a Stuhrling movement, which is far less likely to reject the Invicta, may be donated. Another thing you might want to think about while picking out a watch: go with something that complements your whole ensemble. That particular Kenneth Cole watch you have in this article suits my style perfectly. 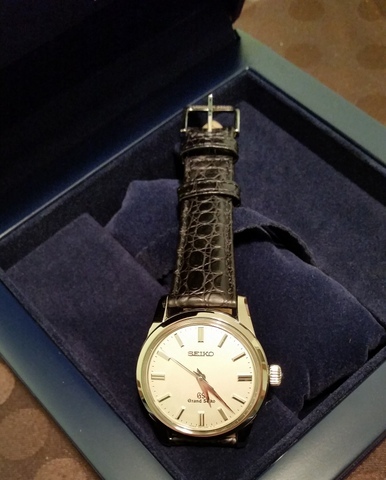 It's perfect for professional attires; thin, wide-faced, has a simplistic design, and a decent brown leather strap. It would go well with belts and shoes of similar colors.